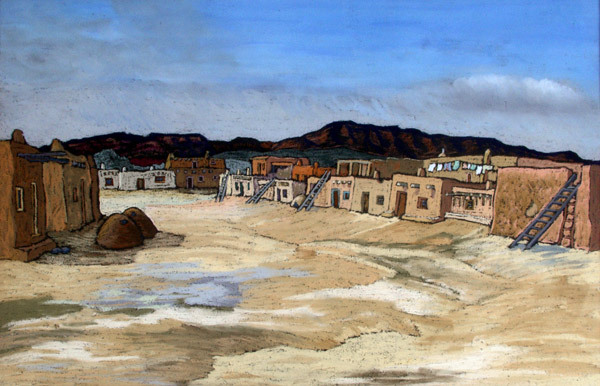 This Towa-speaking pueblo is located in the foothills of the Jemez Mountains, west of Bandelier. Ladders give access to rooms on the second level. The brown dome-shapes in the foreground are hornos or outdoor ovens. Pastel, paper. H.55, L. 70 cm [H. 21½, W 27½ inches], framed.